Well imagine a situation where you go to a store and buy things and on paying earn points that help you get to shop for other things for free! Well you do not have to imagine it anymore as this procedure is already into existence. Various banks are tying up with retailers to offer points on the usage of their cards while paying at retail stores. On paying you earn points, which you can redeem and get gifts from a catalogue full of options. Retailers are tying up with various companies to provide easy payment solutions. These payment solutions also bring to you various other benefits. Nowadays, the wide-ranging options available for customers have made shopping experience less cumbersome. The options widely available are the use of credit cards, debit cards, online gateways, special advantage cards and so on. 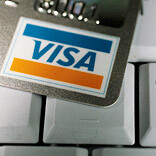 Online payment gateways are a major concern as there is a fear of the cards being misused by hackers. A lot of cases have been reported which created distrust among customers. But now online traders have made provisions to make online shopping experience a lot safer. The various other options available for customers are I-mint, PayMate, Obopay, m-chek and the like. The biggest advantage that these cards boast is ‘Convenience’. Convenience while shopping is of utmost importance to a shopper today. The growing network and associations in the retail sector are further simplifying shopping. The availability of payment options has led to an increase in the affordability level of people. The introduction of various payment options is beneficial for retailers as easy payment options mean more sales as people can now afford to buy things they could have thought of purchasing earlier because of their price tags. Customers are definitely very happy to get better and easier payment options especially in today’s time when they have so much to do. The introduction of payment options is not only beneficial for customers but also for the retailers as it helps them to expand their consumer base. If a customer gets what he wants with maximum convenience then he would definitely return to that store the next time he wants to make a purchase. Retailers should learn from such payment options and introduce more convenient options for their customers. The next thing we can witness can be payment through mobile phones or even through your remote control on the television. Expectations are many but options still very limited. But those options that are available are definitely a relief in today’s time along with being less time consuming and user friendly. The future for sure looks very promising. In the times to come we would see the introduction of many more payment gateways further simplifying the way of life. Also the introduction of diverse payment solutions will give a great boom to retail while on the other hand with the growth of the retail sector we will see the introduction of more payment options.